Officially licensed by the United States Marine Corps, our USMC Black and Tan Assisted Opening Pocket Knife is ready for duty! 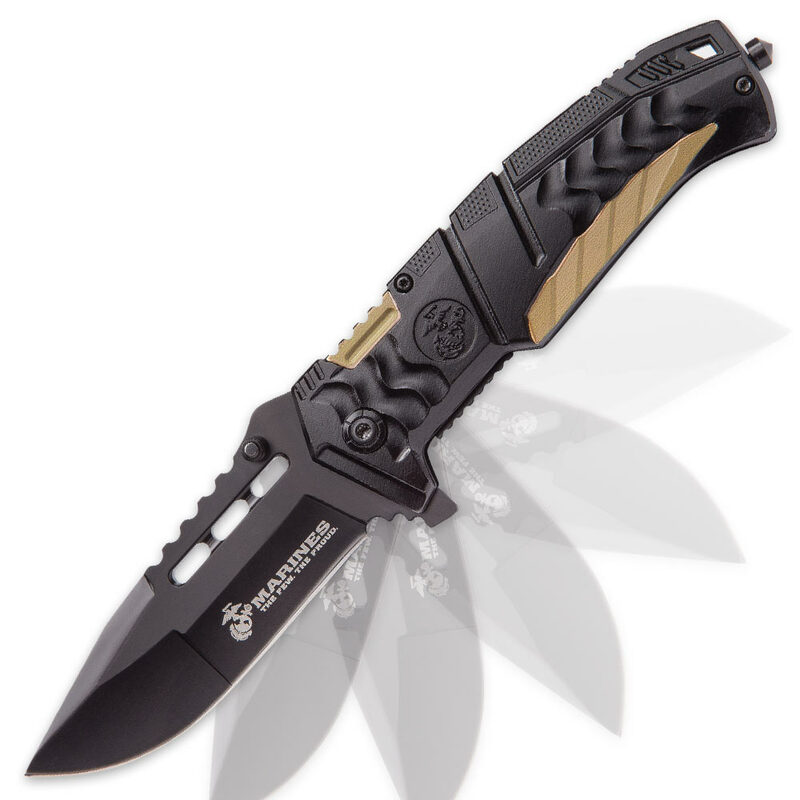 The keenly sharp 3 3/4” 420 black stainless steel blade has the Marines’ “The Few. The Proud.” logo printed on it and features tactical cut-outs. The tough, ready for anything blade can be quickly deployed with the assisted opening mechanism using one of the thumbstuds or the flipper. The pocket knife has an ergonomic, anodized aluminum black and tan handle with a glass breaker, a lanyard hole and a heavy-duty pocket clip which features a cut-out USMC logo. This is the pocket knife that you want in the field with you!